This princess soon became known for two things: her girth, and her artistic abilities. She was a fat baby, and remained heavy all her life; indeed, in her sisters’ correspondence she is often referred to as “Fatima;” evidently she was especially rotund, even in a family known for its tendency to fleshiness. 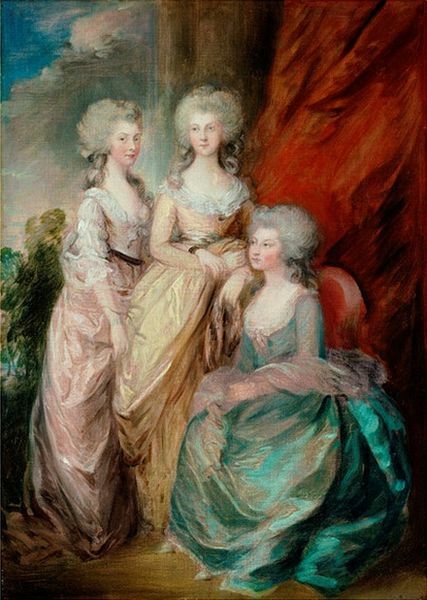 And while the queen had many talented tutors for her elder daughters and indeed spent much time herself with them in drawing, painting, etching, sculpting, and various other artistic pursuits, Elizabeth’s skill and devotion were noteworthy. When the queen purchased a “cottage” at Frogmore, near Windsor, Elizabeth took great pleasure in designing the extensive gardens, scattering gothic ruins, classical temples, and other architectural embellishments about. She was a talented silhouettist, cutting portrait profiles and entire scenes from paper without drawing them first, and illustrated several books. And after George III’s descent into madness, she purchased her own cottage at Windsor and gardened and painted to her heart’s content. What did not content her was her single status. As he did for her sisters, George refused all suitors for Elizabeth, who longed for a husband and children. In 1808, the exiled Duc d’Orleans offered for her hand—a match she was eager to agree to, while there was still a possibility she could have children—but the queen made it abundantly clear that she would never allow her daughter to marry a Catholic. And so poor Elizabeth painted and drew and gardened, helped spoil her eldest brother’s daughter, Princess Charlotte, and grew ever stouter. And then, much to her surprise, in 1818, she received a proposal. Frederick, the Hereditary Prince of the tiny German principality of Hesse-Homburg, wrote asking for her hand. It wasn’t a romantic proposal—the prospective bride was 48, and he himself was a not-very-cultured military man of 49 with an extensive beard who smoked like a chimney. 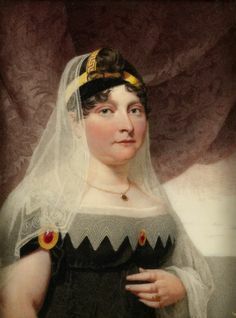 But Elizabeth would finally have a husband and a home of her own, and the chance to escape from under her mother’s thumb, for the queen had grown difficult with age, while Frederick would get the prestige of a British princess as his wife, not to mention her dowry, much needed in his impoverished state. The Prince Regent gave his blessing, and the queen, after doing her best to put the kibosh on the marriage, finally assented. And so Elizabeth and her husband, whom she nicknamed Bluff, were married at the Queen’s House on April 7. After a honeymoon on the Sussex coast, they left for Bluff’s home near Frankfurt—and a surprisingly warm and harmonious marriage. Elizabeth embraced her tiny new country and her husband’s family—he had several brothers—and jumped into renovating the family palace in Bad Homburg. The Prince’s father died in 1820, and so Bluff and Elizabeth became Landgrave and Landgravine.